We’ve been talking a lot about using the new year as a springboard to new meal and cooking options, mostly geared toward a healthy lifestyle. One of the most radical examples of healthy eating is the raw food movement. This uber-simple diet can be applied any number of ways, from simple raw fruits and vegetables eaten in their most basic of forms (veggie crudites, anyone? ), to “prepared” dishes that utilize only raw ingredients. 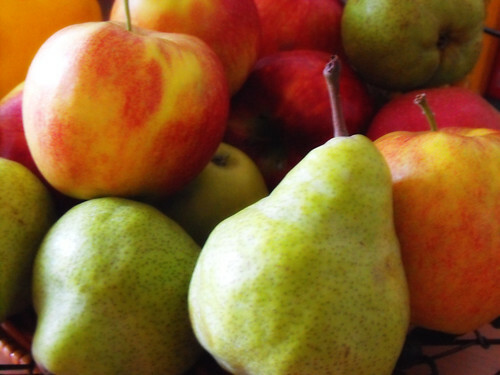 Depending on your level of involvement, the rewards of a raw food diet can be great. One of the most important staples of the raw foods kitchen is the juicer – we’re featuring the fantastic Hurom Slow Juicer in our in-store demo this Saturday – but there’s a lot more to raw food than slurping on some wheatgrass smoothies. We know, we know… this, from a kitchenwares shop that sells thousands of items designed to cook food. But trust us – there are any number of complex yet approachable dishes that can be tasty alternatives to traditional favorites. Home uncooked meals, if you will. We’ve seen recipes for raw breads, cheeses, pizzas, soups – even one for eggnog. There’s a lot out there! 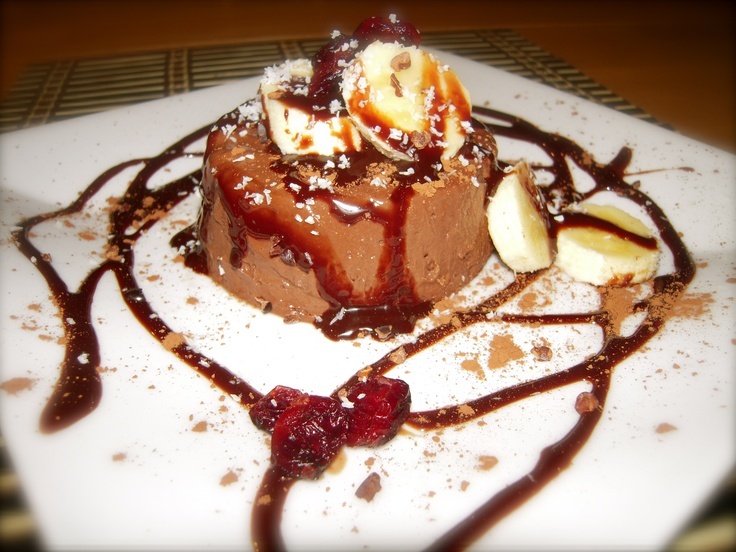 One of the neatest raw recipes we came across is for chocolate mousse. Now, the classic chocolate mousse recipe usually calls for any variation on chocolate (duh), eggs, butter and a few other additives like vanilla or, in our favorite standard adaption, coffee (we base our recipe on the one found in Mastering the Art of French Cooking by Julia Child). Of course, those ingredients are frowned upon in raw recipes, so a bit of creativity is needed. We found a few sweet substitutes, like the avocado-based mousse in Raw Insipiration by Lisa Montgomery. We’ve tried it, and it is much closer to classic chocolate mousse than we had ever thought it could be! Soak dates for 15 minutes. Drain and save water. Set aside. Put all ingredients in food processor or high-powered blender. Blend until very smooth, thick and creamy. You will have to add a few tablespoons of the date water a little at a time while blending. Spread mixture in a serving dish such as a pie dish or in individual bowls. Place in the fridge while you prepare the cream. It will keep for several days in the fridge. Soak cashews in 1½ cups water for 30 minutes. Drain and rinse. Soak dates in ½ cup water until very moist. Drain and be sure to save the date water. In a high-powered blender, blend all ingredients. Add date water, if needed, a little at a time. Blend until smooth. Spread the Raspberry Cream on top of the Chocolate Mousse. Optional: Garnish with chopped raw walnuts around the edges. Keep in refrigerator until ready to serve. Lest you think there’s only one way to make a raw mousse, check out the Rawkin’ Mexican Chocolate Mousse recipe, courtesy of WeLikeItRaw.com. We Like It Raw is a full-service website connecting the raw food community and is a fantastic resource on the subject. We haven’t tried this one yet, but it looks equal parts intriguing and delicious. As you can see, the raw food diet requires a bit of creativity in ingredients, but actually assembling these delectable dishes is a piece of cake. Or mousse, as the case may be. If you’re in the neighborhood, make sure to stop by the store and check out our demo this Saturday of the Hurom Slow Juicer. 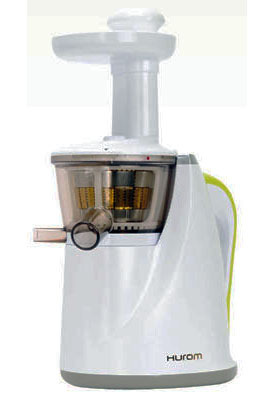 You don’t have to be a raw foodie to love this machine – though you’ll get a lot of use out of it if you are. Check it out this Saturday from 11 to 3 at our Italian Market store. There’s nothing better than using the freshest raw food. Nothing better at all.